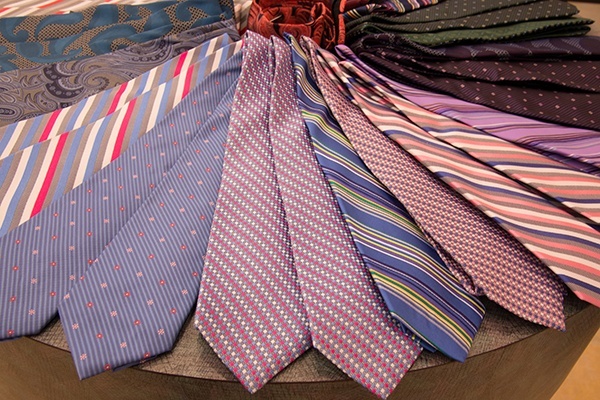 Charney's men's ties are 100% silk imported from Italy, with a selection second to none. We are renowned for our hand selected selection of ties, in every size, style, color and pattern, including tall men's ties. We delight in the fact that customers come in and are amazed by our rainbow of ties. And, when they are assisted by one of our clothing professionals who pair the ties with a dress shirt, it's not uncommon us to hear, "Wow... how do I choose?!" With more choices, colors, and styles than nearly anyplace else in Central New York, it's easy to "Find What Fits You."